The leader of the Social Dem­ocratic Liberal Party (SO­DELPA) is encouraging all Fijians to take part in this year’s general election. This was an issue that Sitiveni Rabuka highlighted while speaking to villagers of Saunaka, Nadi, on Monday night. “During my meeting I have en­couraged people in all villages and settlements to get registered to allow them to participate in this year’s general elections,” Mr Rabu­ka said. Mr Rabuka said one of the main issues Saunaka villagers raised with him concerned land. He also said there was a great turnout from villagers. “We won’t disrupt them because some villages are preparing for the Methodist conference. Even if we hold our meetings in villages we will make sure not to disturb their preparations or even their own vil­lage meetings,” the former prime minister said. 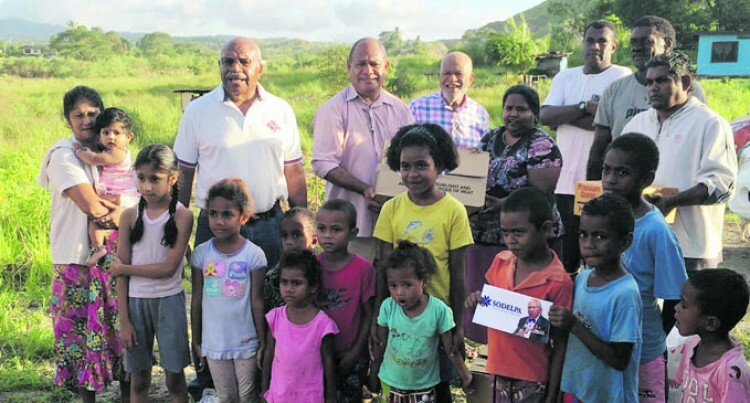 Mr Rabuka said the decision for him to visit any village in Nadi would be determined by the party’s committee in the province of Ba.